Watch Bernie Williams speaking with Brandon Steiner from “Memories of the Game” Show that was featured on the YES Network in December 2006. 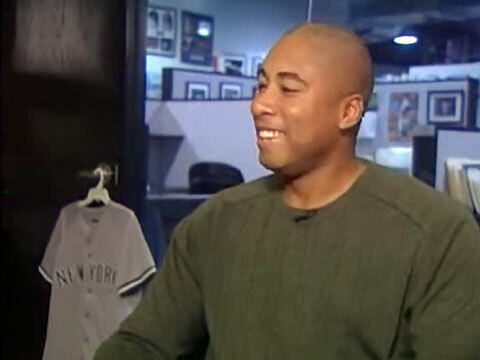 Bernie Williams is a Puerto Rican MLB baseball player and musician. He played his entire 16-year career with the New York Yankees from 1991 through 2006. He was a center fielder and member of four World Series championship teams with the New York Yankees. He retired with a .297 batting average, 287 home runs, 1,257 runs batted in (RBI), 1,366 runs scored, and 449 doubles. He was a five-time MLB All-Star and won four Gold Glove Awards. He also won the Silver Slugger Award and American League Championship Series Most Valuable Player Award. In addition to his accolades on the baseball field, Williams is also a critically-acclaimed musician. He is a classically trained guitarist and composer with influences that include jazz, classical, pop, Brazilian and Latin sounds.